Let's hear it for our amazing Dominion Crew! Roller derby would not be possible without these hard-working group of individuals who keep us safe and following the rules while we are on the track. If you are interested in becoming a non-skating official, please contact our Officials at Referees@derbydevils.com. Want to become an on-skates Referee? 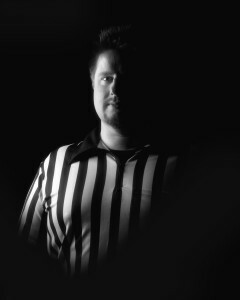 Please contact Training@derbydevils.com or visit our join page for more information on our Underworld Rookie Training Program, which now includes referee training.